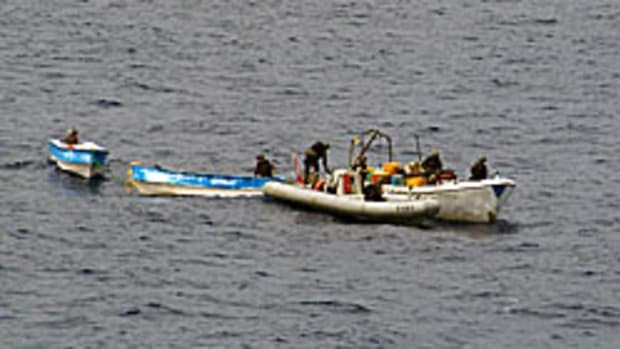 Just a few weeks after the Operation Commander of the European Union Naval Force, Rear Admiral Bob Tarrant, issued another warning about the ongoing piracy threat, there have been two more piracy related incidents off the Somali coast. The first incident happened on Nov. 5, when EU Naval Force German frigate, FGS Niedersachsen prevented 10 suspect pirates from getting far out to sea. The second incident happened a day later at sea 460 miles south east of Mogadishu, when a merchant ship had to repel an attack from five armed suspect pirates.